The Laura Ingalls Wilder Historic Homes and Museum is going to be rollicking this weekend with celebrants during Wilder Days 2014. Laura’s garden spot is all abloom while the maturing trees in the orchard are beginning to produce apples. The chickens are happy in their pen and house that resembles the structure which housed Laura’s chickens. So much more is on the table to bring Rocky Ridge Farm to active ‘life’ for visitors to enjoy as they view how the Wilder family lived and worked in the past. 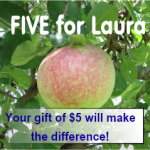 Think about it — if every one of us who love Laura and the Little House stories were to give a gift of only $5, we would have enough funds to restore Rocky Ridge Farm and keep it offering pleasure and education for future generations. We can easily make our gift online, using Paypal if we choose. Or if we prefer to send a check or money order, the mailing address is clearly stated on the website of The Laura Ingalls Wilder Historic Homes and Museum. The homes at Rocky Ridge Farm are a valuable piece of American history on their own, for they were the homes of industrious people who made solid contributions to their communities and society as a whole. But, we know the farm most because of a spot in earlier American history…pioneer life on the American plains. The story of the Ingalls family as they moved from home to home reflects the stories of thousands of other families and is told in a clear, intelligent, wholesome style that appeals to children and their families across cultures. A single breakaway book about Almanzo’s childhood on another farm, Farmer Boy, carries the same style and appeal. And, as they say, the rest is history. Now, we have a history of Laura as a woman who lived and farmed in the Ozarks, had a journalistic career while contributing to area business along with her husband and their ambitious, talented daughter Rose. Rocky Ridge Farm is a hub for numerous communities where the Ingalls family lived during Laura’s childhood and who’ve been able to preserve local memories and educational opportunities for families all over the world. Let’s all band together and make this happen! 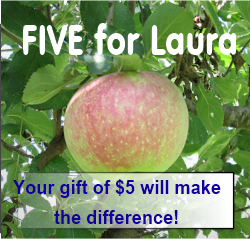 FIVE for LAURA! !